Dyslexia is a learning disorder that affects the way a brain processes information, especially written information. This learning disorder can really make school hard since so many subjects rely on the ability to read, understand, and discuss information. If your child has been diagnosed with dyslexia by a professional, that is only the beginning of the journey. There are tons of ways you, as a parent, can help your dyslexic child navigate through school, learn to adapt, and ultimately succeed. The most important thing to remember is to set realistic expectations and to be patient. Keep a positive attitude and opt for encouraging rather than complaining. Remember that a kid writing a story might have a lot of misspelled words and other errors, but this is only a first draft! Editing can and will come later. Keep reading and writing fun. Dyslexia is a neurological disorder, it is a difference in the way the brain works, it is not due to laziness or disinterest so make sure you are treating your child fairly when they are trying. Dyslexia can make remembering things a challenge, so equip your child with a notebook and checklists for daily activities, make it easier for them to succeed. Repetition can also help if you need to give your child a one-time instruction, have them repeat it back to you so you can be sure they understood. Routines are important, designate a certain area where they can keep their school bag, homework, notebook, etc. so they will always know where to put it and where to find it. Don’t get too angry when they forget though, it will definitely happen. Self-esteem issues can crop up in dyslexic kids quickly, so make sure you’re praising their effort and not the result. Trying is more important than being perfect at everything. The more you make it acceptable to try hard, the harder they will try. Dyslexia can cause difficulty reading and spelling because a child might gloss over important details in a word or passage. Help your child understand that words are made up of letters and sounds. Play games where they make their own words and consider creating a word wall in your home where you put cards with their most commonly encountered words and spelling words up on the wall for them to see and practice. 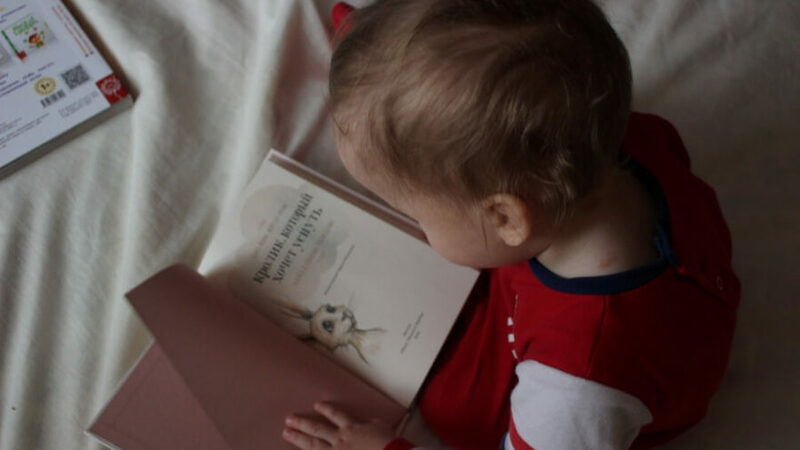 Read to your child, modeling the proper way to read can help a child understand what they need to do when it is their turn. Show them how to read a book from the top of the page to the bottom, from left to right. Remember that this kind of modeling can start even before your child is old enough to read on their own. Once they are reading on their own, continue this practice and take turns reading. When they are reading to you be patient, don’t jump in to correct if it seems like they are just taking extra time to figure out a word. If they need help try getting them to sound the word out if possible. Some words cannot be sounded out, so refer them to the word wall and put the sight words (words that you have to just learn by looking at them) into your collection. Make time each day for everyone to read. Model silent reading and make sure your child has an interesting book to read as well. Make reading a family tradition. Most schools and libraries have some kind of reading reward program that you can take advantage of where your child will be rewarded for reading. Using an e-reader can be a great way to help your child read more because they can adjust the screen brightness, background color, font, and the size and spacing of letters. Make reading easier for your child at home by investing in an e-reader and downloading the dyslexia friendly font called Dyslexie for it. In the same way, a person who has trouble walking may need a wheelchair, a person with dyslexia may need adaptive technology to help them along as well. There are multiple apps for your smartphone or tablet that can help with dyslexia through playing games. A dyslexic child may be way more comfortable writing papers and doing homework on a laptop or computer where spell-check and other tools are available. Adaptive technology for dyslexia is still emerging daily so try to keep up to date with what is available. Make sure your child’s teacher knows about their diagnosis and talk to the staff about an individualized education plan to help accommodate any needs your child has like extra time on a spelling test or other classroom changes, like permission to bring a computer to take notes. Invest in a line keeper for your child. These bookmarks help them keep the line they are reading distinguished from the lines above and below. Some of them come with colored acetate panels that can help make letters easier to read for kids with dyslexia. Pastel colors tend to be the best, but whether pink or turquoise helps your child most is a question only they can answer. Ask the teacher to send home a spelling list a week ahead of when they will be learning it to give you time to make cards for your word wall. Talk to the school librarian about getting books with the Dyslexie font for children to check out. Don’t be afraid to ask for extra help for your child through tutoring or reading coaches at the school, if there’s an afterschool program available for reading enrichment take advantage of that too. Keep an eye out for symptoms that your child is being bullied at school and make sure to take a meeting with school officials if you suspect it is happening. Being bullied can lead to depression and anxiety in all children, but in a child, with dyslexia, it can especially make school a nightmare. The amount of extra effort a kid with dyslexia has to do in school is tiring enough without the added burden of schoolyard drama. Keep trying new things until something works, ask your child to help you evaluate what is working and what isn’t, and listen to them when they ask for specific types of help. In the end, with a good mix of practice, patience, and adaptive technology most dyslexic students will be able to achieve their goals.